As the consequence of diabetes can lead to nerve damage or possibly cause circulation problems, it is important to keep your sugars under control. We have seen the best diabetic patients and worst diabetic patients at the Center for Ankle and Foot Care. We believe in prevention first and foremost with the diabetic foot. 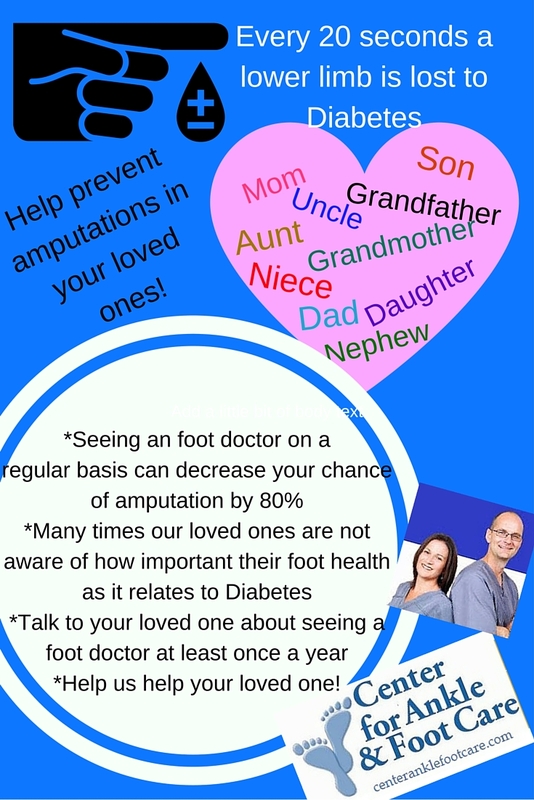 If you have been diabetic for 10 years or more you should see a podiatrist at least once a year for a diabetic foot check up. Get your vascular status and nerves checked by the professionals who take pride in keeping your feet healthy! Dr. McGowan and Dr. Henne believe in prevention in the diabetic foot. We don't want to wait until there is a problem, we want to prevent the problem in the first place. What can I do to better take care of my feet? 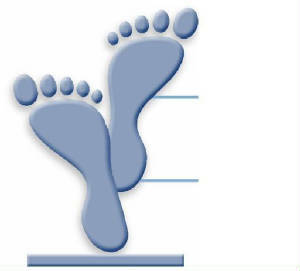 Visually check your feet and toes daily for any cuts, sores, blisters, bruises, bumps, infections, or nail problems. Wash your feet daily using warm water and mild soap. Check the water temperature with your wrist to make sure it isn't too hot, and do not soak your feet for long periods. If you have dry skin, cover your feet — except between your toes — with petroleum jelly or cold cream before putting on shoes and socks. Wear thick, soft, and loose-fitting socks and shoes that fit well and allow your toes to move. Rotate your shoes and do not wear new shoes for more than a few hours at a time. Cut your toenails straight across and don't leave sharp edges that could cut the next toe. Never go barefoot on the beach or anywhere else. Have your feet checked at every doctor visit. Do not sit with your legs crossed. Crossed legs can cut circulation to the feet. Do not use tobacco products. Smoking impairs circulation. Peripheral neuropathy can damage the limbs and in particularly the feet. Symptoms can include, numbness or insensitivity to pain or temperature; tingling, burning, or prickling; sharp pains or cramps; extreme sensitivity to touch; and a loss of balance and coordination. Treatment usually hinges upon bringing blood sugar levels under control.